So far, I have enjoyed all of the books in this series well enough. This was a slightly less enjoyable story for me. You have Kyle, who seems to only attract guys who "love him and leave him" – he is looking for a long term relationship but can't seem to get it right. He's struggling with that fact when he goes to his friend's house for a getaway. He loves his job, but also knows that he could choose a different path. What that path would be, he's trying to figure out. Then you have Kyle's history with law enforcement and how scary that was for him. His friends know of his history, and despite that, they believe that Brandon is going to be a good fit for their friend. Unfortunately for the friends, they don't know all that is going on with Brandon when they set these two up. Brandon acts just as Kyle suspected, but hoped against hope that he was different. He loved him and left him. It takes a while for Brandon to see the light – to see how his actions are costing him a future shot with Kyle. Overall, this was a feel good story, but had a semi-weak storyline compared to the previous books. It was well written, in terms of development though, which is why I rated it as I did. Charley also writes YA fiction under the name Charli Green. 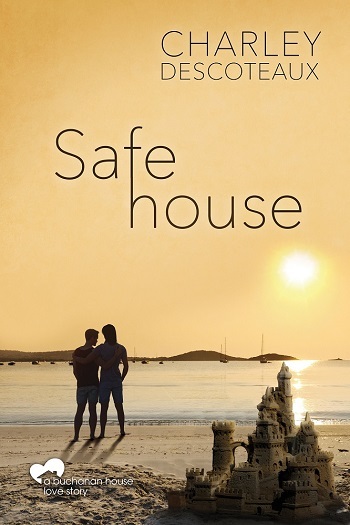 Reviewers on the Wicked Reads Review Team were provided a free copy of Safe House (Buchanan House #4) by Charley Descoteaux to read and review.